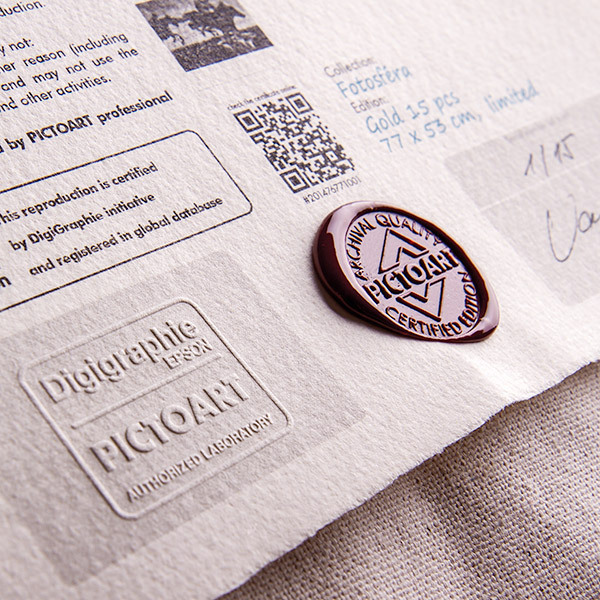 Pictoart laboratory is certified by DigiGraphie. 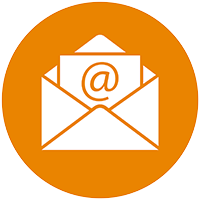 DigiGraphie was created to ensure the time constant quality of fine art reproductions. 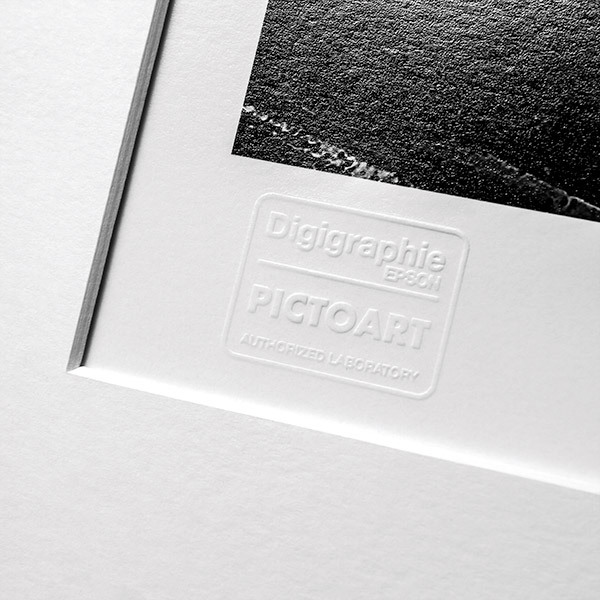 Any reproduction marked by DigiGraphie embosser is printed on the selected certified media. 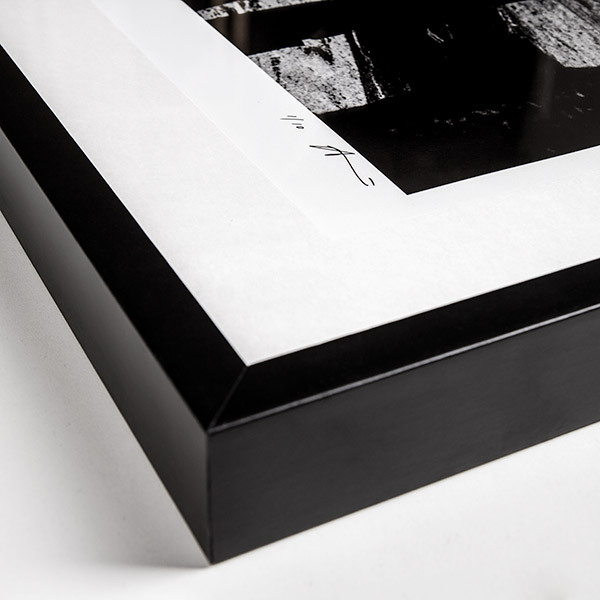 Each print is also registered in a global database of limited editions at the server digigraphie.com. Every print in limited edition was personally inspected and approved by the author. Each print is marked with serial number of the print a and handwritten signature. It makes it a truly unique reproduction. An integral part of every reproduction is a certificate. The certificate contains additional information about the work, the artist and the serial numbers of reproduction. It is printed on a luxurious hand-made paper annd provided with protective elements in the form of blind embossing, seals and handwritten signature of the author. We speak English and Czech.